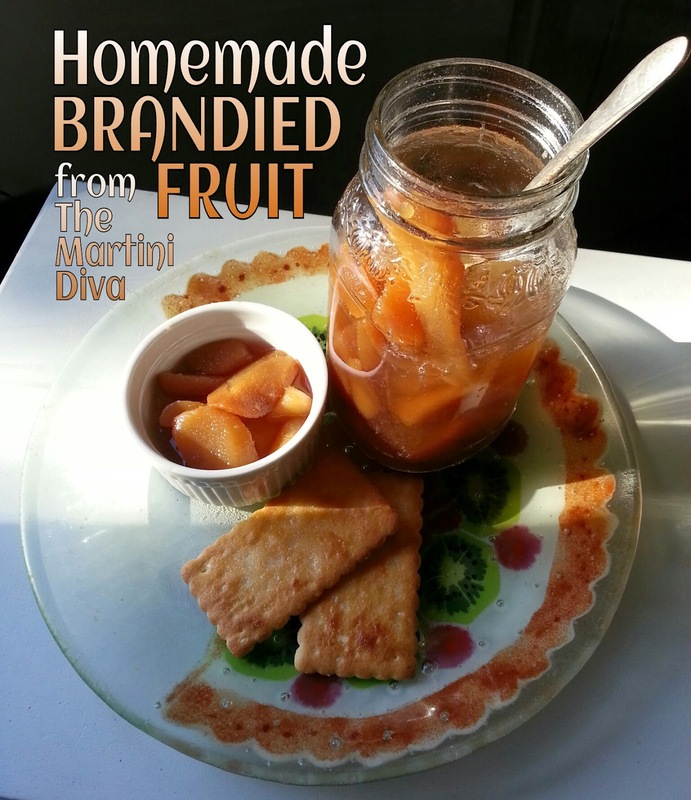 Making Brandied Fruit is easy and a great homemade holiday gift project. Brandied fruits are wonderful over ice cream, cakes, pancakes and bread puddings and they make lovely additions to cocktails as well. And don't forget about adding to the stuffing of a holiday bird or some pork chops! You want to use ripe, unmarred fruit with no bruises or damage and a good brandy (or cognac). I use a VSOP (Very Superior Old Pale) or VO (Very Old) brandy which has been aged at least 4 years. You can also use dried fruits and you can combine fruits for a "signature" blend. Feel free to add flavors with spices like vanilla beans, anise stars, cardamom seeds or the zest of lemons and oranges as well. Even chilies and peppercorns can bring unexpected depth of flavor! Add these to the jar just before sealing up. SIMPLE BRANDIED FRUIT RECIPE: INGREDIENTS 5 Cups of Fruit 5 Cups Sugar 4+ Cups GOOD 80 Proof Brandy (You'll need enough to completely cover the fruit. Any leftover can be saved for cocktails!) TOOLS Large Mixing Bowl 4 Sterilized Pint Glass Jars with Sealable Lids Labels DIRECTIONS Mix the fruit and sugar in a large bowl and allow mixture to macerate for a minimum of an hour, tossing every 15 minutes. 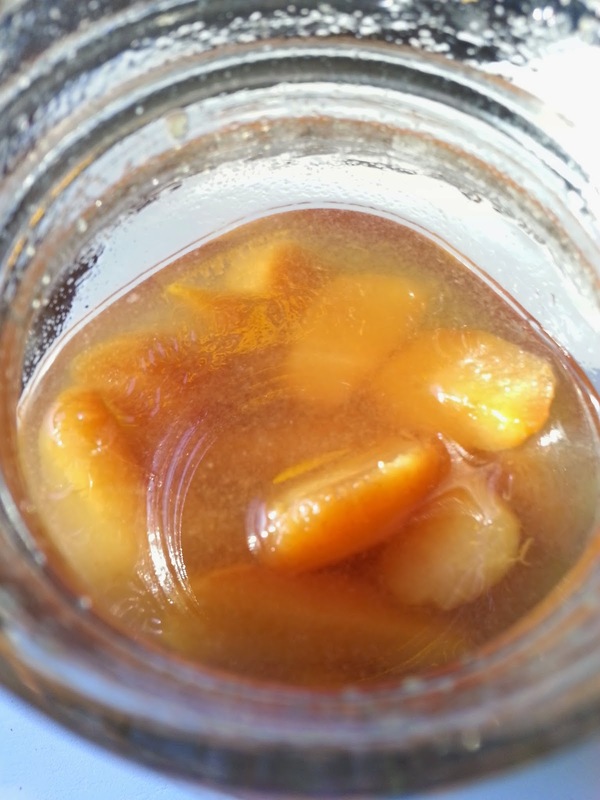 Divide the fruit mixture between the jars and fill remainder of jar with your brandy, leaving about half an inch head space. Cover and let infuse for a MINIMUM of a month, shaking occasionally. Keep in mind the longer your fruit is allowed to soak in that lovely brandy the better it will be! Label and give as a gift or just keep for yourself! Some say you can add more fruit and brandy to the jar as you use it up, however I prefer making fresh batches to keep the aging controlled. Your brandied goodness can last up to nine months, more if refrigerated, just make sure the fruit is completely submerged in the alcohol at all times. The fruit infused brandy is great in a Brandy Old Fashioned. Enjoy. YES, you can eat it right out of the jar with a spoon!